Lois’s legacy will live on in our legions of Silberman Social Work graduates and the countless individuals, families, and communities they serve. Our deepest sympathy to Jayne and the Silberman family. The Shadow Count involves paid “decoys” who are stationed in pairs throughout the city. As they are located by the same volunteers who count the population experiencing homelessness unsheltered, these decoys help measure the HOPE Count’s overall accuracy. Over the next few weeks, the Silberman School of Social Work will recruit and train all decoys to participate on the night of the 28th. We want you to join us and become part of this important, impactful evening. Compensation: All decoys earn $85. Active since 2016, this collaboration is led by principal investigator Martha Bragin, Associate Professor at the Silberman School of Social Work and Chair of the School’s Global Social Work and Practice with Immigrants and Refugees (GSWPIR) field of practice. It is supported by FHI-360 and the United States Agency for International Development (USAID) as part of the University Support and Workforce Development Partnership (USWDP) initiative in Afghanistan. Combining Hunter’s resources and experience delivering the highest caliber of social work education across its 60-year history, with the unique human service needs and expertise of its Afghan partners, the Counseling Degree Partnership is developing rigorous academic programs in psychological counseling at both Kabul and Herat Universities. 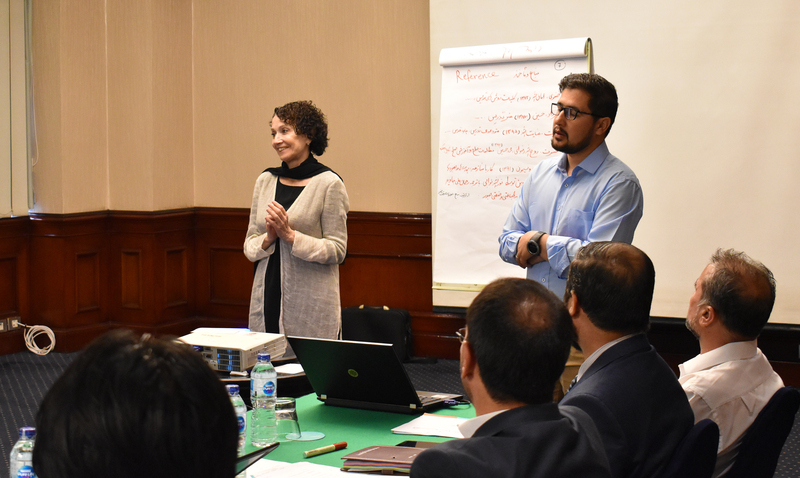 These programs will educate and train Afghan students to become professional psychological counselors reflecting, supporting, and transforming the lives of their fellow Afghans. Throughout the life of this partnership, formal conferences called Study Tours have been vital opportunities for partner institutions to meet and mutually build knowledge and resources. 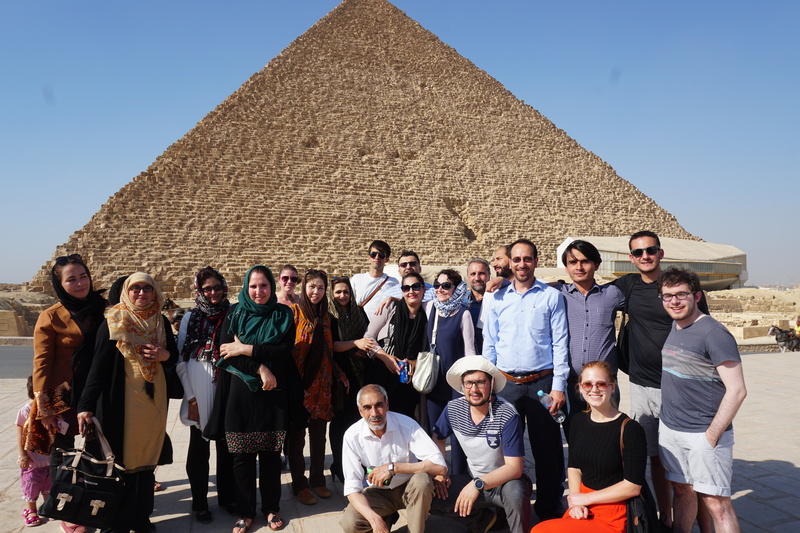 Held in Cairo from August 15-21, the last Study Tour spurred extraordinary learning and productivity that bridged cultural contexts, languages, and topics. 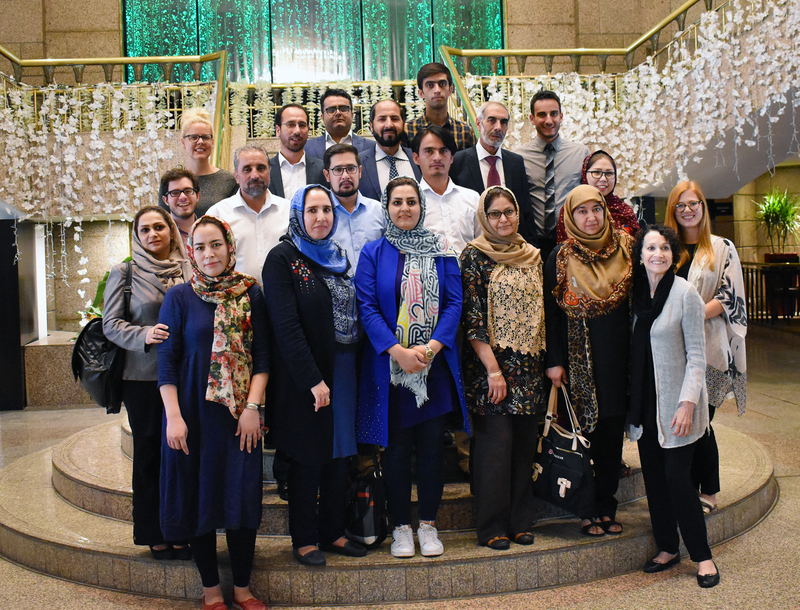 Eleven faculty members and deans from Kabul and Herat Universities collaborated with Professor Bragin, co-PI Bree Akesson of Canada’s Wilfrid Laurier University, Hunter/Silberman staff specialists, Dari-English translators, and consultants to ensure the strength of their counseling degree programs. 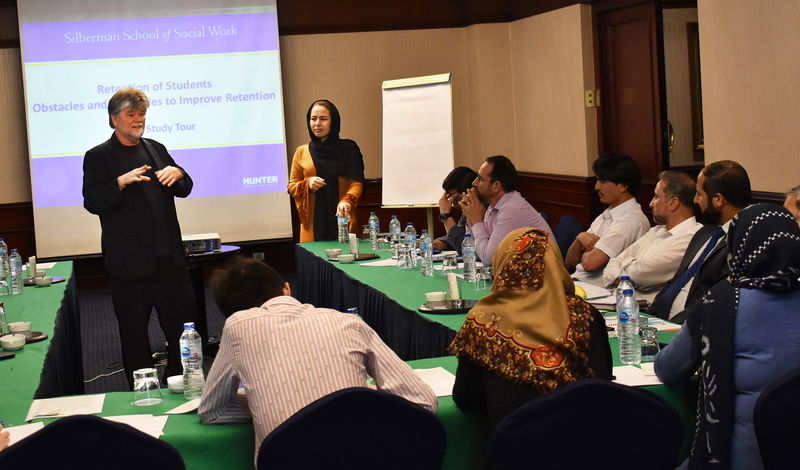 Professor Gerald Mallon, Associate Dean for Scholarship and Research at the Silberman School of Social Work, facilitated workshops on key issues including research and scholarship; program policies; recruiting and retaining excellent students; and effectively managing program personnel. Dean Mallon was assisted by Jacob Gutter and Matthew Goldman, Silberman’s dedicated communications designer and writer, who worked with the Afghan faculty to develop international-grade digital resources and policy documents. By the end of the Study Tour, materials were in place to support both universities’ new programs in perpetuity. School of Social Work. This collaboration exemplifies how Hunter’s commitment to social work excellence in service to the public crosses borders and supports communities far and wide. Dr. Anna Ortega-Williams is joining the Hunter College Silberman faculty as an Assistant Professor. Dr. Ortega-Williams is a social work scholar, practitioner, educator, and activist. She earned her doctorate from the Fordham University Graduate School of Social Service, having previously earned her MSW from Stony Brook University (SUNY) and her bachelor’s degree from Hunter College. Dr. Ortega-Williams is interested in the intersections of micro- and macro-level social work practice and aims to contribute to peer-led trauma recovery approaches that include social action. Her research focuses on the experiences and creative strategies of Black youth interrupting systemic violence and social inequities as a form of healing, post-traumatic growth, and recovery from historical trauma. Her dissertation explored the ways in which Black youth organizers in New York City were impacted by their participation in social and economic justice movements. Dr. Ortega-Williams also brings to her academic work 17 years of direct practice experience in individual, group, and family counseling, in addition to 14 years working as a director, program developer, capacity builder, and evaluator at the Red Hook Initiative. Dr. Geetha Gopalan comes to the Silberman School of Social Work at Hunter College as an Associate Professor from the University of Maryland School of Social Work. Her research focuses on the implementation of evidence-based mental health interventions with youth and families, particularly family-level interventions to improve youth mental health and reduce youth risk behavior among families with intensive service involvement and psychosocial needs (such as those involved in the child welfare system). 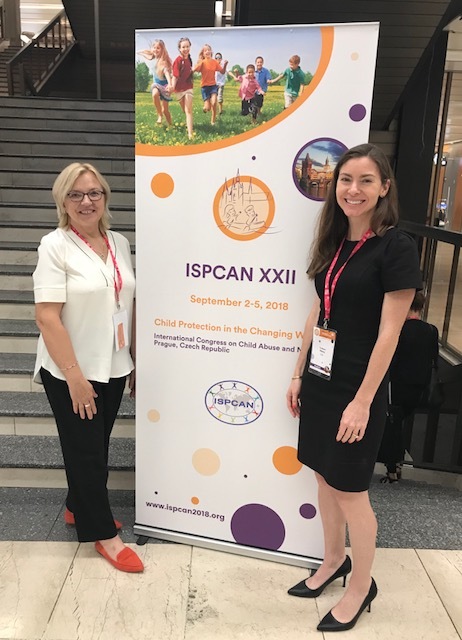 Recently, she was the Principal Investigator on an NIMH-funded study to expand the implementation of a Multiple Family Groups (MFG) intervention to reduce child disruptive behavior difficulties, and she has participated in two NIMH-funded intervention research training institutes. Dr. Gopalan has also worked as a clinical practitioner in the New York City child welfare system and the child and adolescent emergency psychiatry program at Kings County Hospital in Brooklyn. Dr. Rong Zhao joins the Hunter College Silberman School of Social Work at the rank of Assistant Professor. She earned her doctorate from the Columbia University School of Social Work this past spring, and previously studied at the Beijing Normal University in Beijing, China. Dr. Zhao’s research deals with social welfare practice and policy in a global perspective. Her specific research interests include the human service workforce, gender in relation to nonprofits, volunteering, and service contracting. Dr. Zhao’s recent scholarship has analyzed the workplace gender inequality in the United States; service contracting and NGO development in China; and the impacts of social capital on volunteerism and philanthropy in urban China. 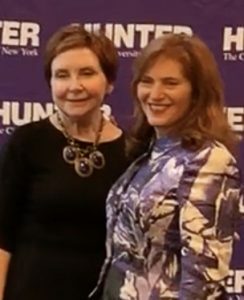 On Thursday, June 7, Hunter College President Jennifer J. Raab hosted a special reception to celebrate the appointment of Dr. Mary M. Cavanaugh as Dean of the Silberman School of Social Work at Hunter College. 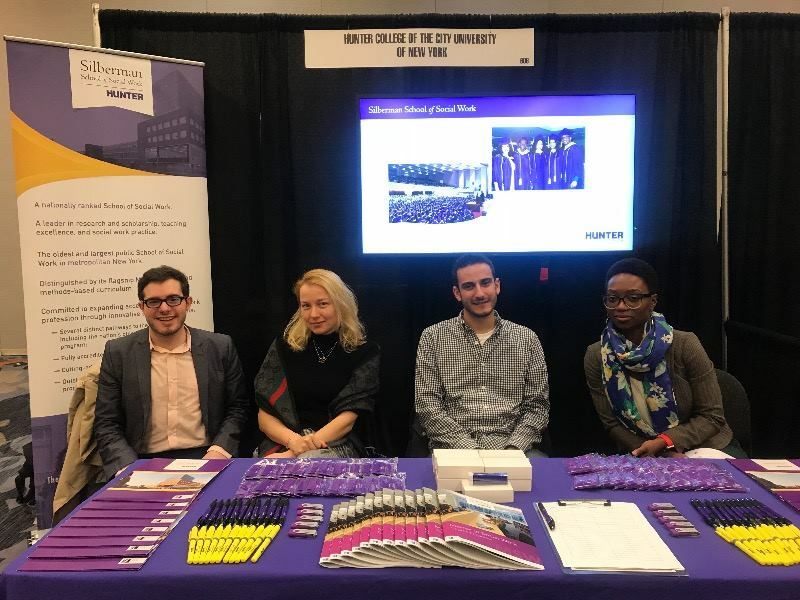 A great many members of the Hunter College and Silberman School of Social Work community came together for this jubilant event, held at the Silberman campus in East Harlem. Guests included faculty, staff, alumni, and senior administrators from numerous Hunter College Schools, and community representatives. They warmly welcomed Dr. Cavanaugh to the Deanship and heard moving remarks by President Raab; Associate Dean Dr. Gerald Mallon; and Dr. Cavanaugh herself. Dr. Cavanaugh was appointed Dean of the Silberman School of Social Work in January 2018 after a competitive national search. She previously served as Interim Dean and, prior to that, Associate Dean for Academic and Faculty Affairs. You can read more about Dr. Cavanaugh and her appointment here. This summer, hundreds of CUNY student volunteers will travel to Puerto Rico for two-week deployments with the CUNY Service Corps, as part of New York’s commitment to the island’s recovery and rebuilding efforts. 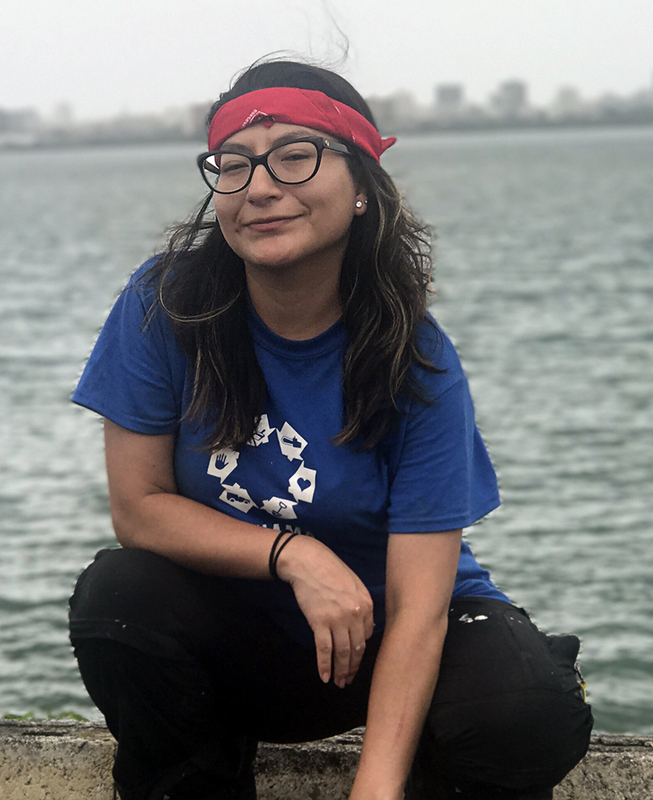 Silberman School of Social Work student Sheila Gamarra was there June 17-30 with the first team of Service Corps members to begin this vital work. A rising second-year student in the Clinical Practice method, Sheila took note of her experiences serving communities with significant challenges and resilience – and she sent dispatches back to Silberman when she could. We invite you to check out all of Sheila’s photos, videos, and reflections on our Facebook page along with the highlights below. 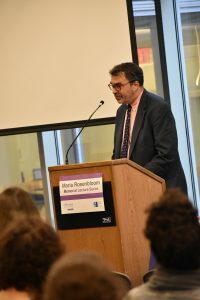 On Wednesday evening, April 25, the Silberman School of Social Work at Hunter College held our sixth annual Maria Rosenbloom Memorial Lecture: Lessons from the Holocaust for the 21st Century Refugee Crisis. The Rosenbloom Memorial Lecture Series honors the legacy of our former colleague Professor Maria Rosenbloom, an inestimable and fierce advocate for social justice who was committed to educating about the Holocaust as well as the experiences of refugees around the world. This year’s keynote speaker was Mark Hetfield, President and CEO of HIAS, the world’s oldest organization dedicated to refugees. He was joined by three social work leaders, each a child of Holocaust survivors. Together, they forged an important dialogue on how to understand and assist today’s global refugees in light of lessons like those Professor Rosenbloom so powerfully taught here at Hunter. This special evening was well-attended, including a great many Silberman community members who came together to share in the conversation. We are very grateful to all who made the 2018 Rosenbloom Lecture such a success. 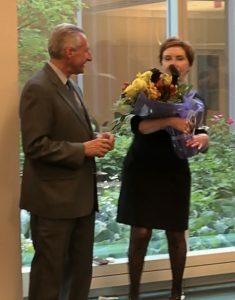 A special thank you goes to Professor Harriet Goodman for her work organizing the lecture, and the entire advisory committee for their vision and dedication: Martha Bragin, Daniel Gardner, Caroline Gelman, Alex Gitterman, Patricia Gray, Paul Kurzman, Gary Mallon, Terry Mizrahi, Gloria Rich, and Ana Paulino. The School community is particularly grateful to Dr. Alex Gitterman, whose remarkable support in memory of his aunt, Maria Rosenbloom, makes this annual event possible. Finally, appreciation goes to Matthew Goldman, Jacob Gutter, and the School’s Facilities and A/V teams. The Silberman School of Social Work is proud to honor and uphold Professor Rosenbloom’s legacy through the Rosenbloom Memorial Lecture Series. Please stay tuned for updates about next year’s program. 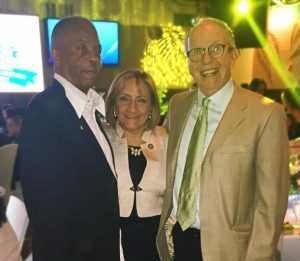 The Silberman School of Social Work at Hunter College warmly congratulates alumnus Dr. Robert (Bob) Schachter for receiving the Network for Social Work Management’s Chauncey Alexander Lifetime Achievement Award. 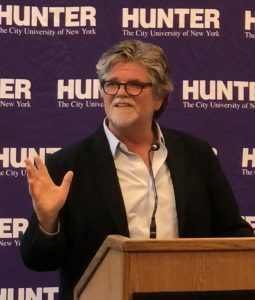 Dr. Schachter, who earned his MSW and DSW from the Hunter College School of Social Work (the latter in concert with the CUNY Graduate Center), is a highly accomplished leader in the Social Work profession in New York City and nationally. Across his career of more than 40 years and counting, he has demonstrated a deep dedication both to effective organizational and professional development and to fighting systemic social injustice – exemplifying not only Chauncey Alexander’s model but also the foundation of Social Work itself. 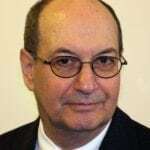 Dr. Schachter served for 27 years as the Executive Director of the National Association of Social Workers New York City Chapter (NASW-NYC), one of the largest NASW chapters in the country, until his retirement in 2017. Among the many initiatives he undertook in this position, Dr. Schachter worked to develop and sustain the chapter’s commitment to racial equity and social justice. He co-founded and co-chaired the Latino Social Work Task Force, which has expanded support and opportunities for multicultural, multilingual social work students including raising over a half million dollars for Latino student scholarships; served as founding chair of the NYC Human Services Council’s Racial Equity Work Group; encouraged all NASW-NYC staff, board members, committee members, and more than 100 social service agency CEOs to attend Undoing Racism Workshops; and established a pathbreaking social work labor alliance. Dr. Schachter was also instrumental to an overall expansion of professional opportunities and standards of excellence in Social Work. He developed some of the first, strongest, and most enduring partnerships between New York City’s social service professionals and its citywide agencies both public and private, including the NYC Department of Health and Mental Hygiene; the NYC Department for the Aging; and the New York Academy of Medicine. These significantly enhanced the role of social workers in community-engaged mental health care and advocacy across the metropolitan area. Dr. Schachter additionally led a major effort to achieve full licensure for social workers in New York State, and he was the architect behind mandatory continuing education for licensure renewal at a time when New York was the only state in the country to lack this professional development provision. 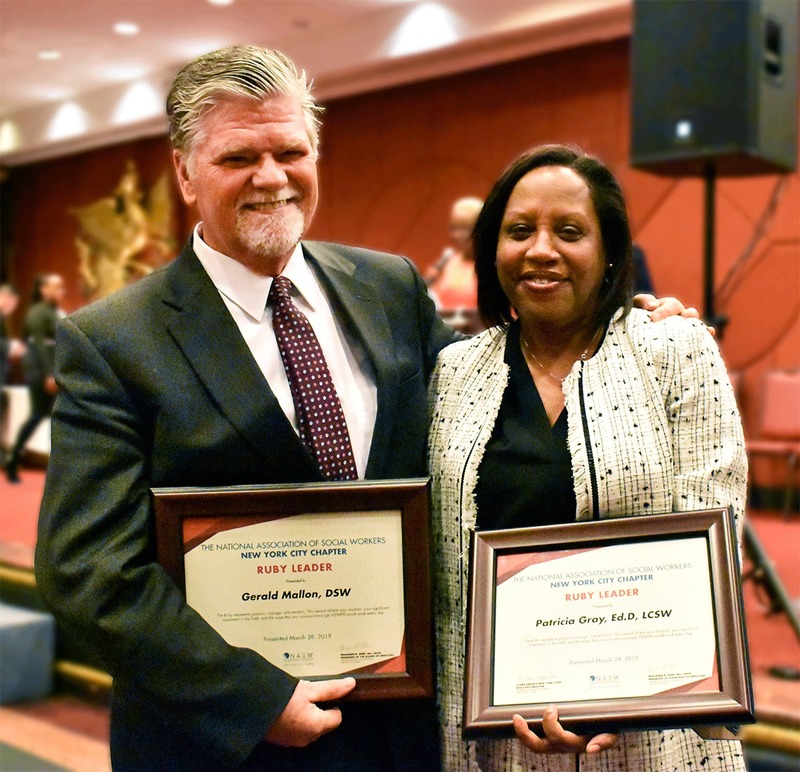 The entire Silberman School of Social Work and Hunter College community offers our congratulations to Dr. Schachter for this well-deserved honor reflecting his extraordinary contributions to the communities of New York and the profession of Social Work. 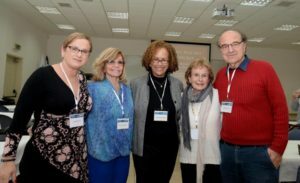 In February, the Silberman School of Social Work’s Professor Terry Mizrahi and Moses Distinguished Visiting Professor Darlyne Bailey traveled to Zefat, Israel, where they headlined the international macro social work conference “Making Macro Matter: Advancing Macro Social Work Education, Research and Practice.” As guests of Zefat and Tel Chai Colleges, Professors Mizrahi and Bailey presented the work of the U.S.-based Special Commission to Advance Macro Practice in Social Work, which they lead together. 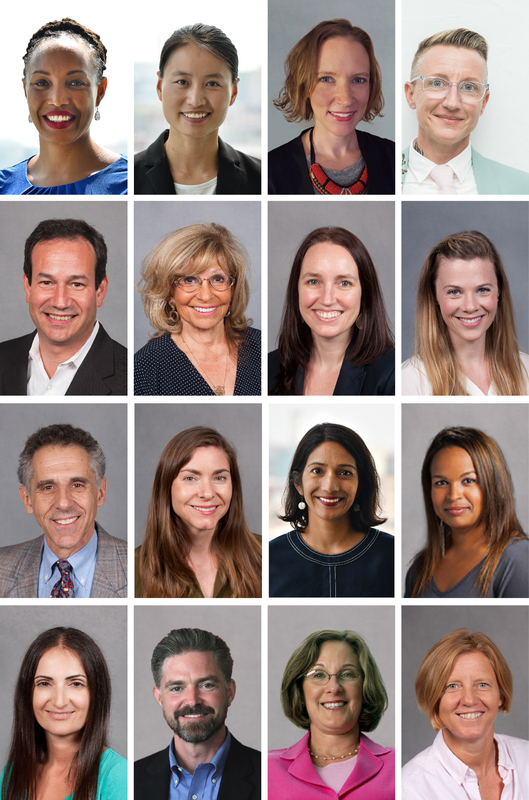 Their contributions in Israel add to this year’s outstanding stories of the Silberman community at work around the world. I am delighted to announce the appointment of Dr. Mary Cavanaugh as the Dean of the Hunter College Silberman School of Social Work. Dr. Cavanaugh’s excellence was recognized through a national search representing a stellar candidate pool. Many of you had the opportunity to meet with finalists; your feedback was critical to the decision. I especially thank the search committee members Professors Alexis Kuerbis, Paul Kurzman, Vicki Lens, and Willie Tolliver, students Ana Aparicio Calderon and Andy Torres, and its chair Dr. Gail McCain, the Joan Grabe School of Nursing Dean. Dr. Cavanaugh, a member of the Hunter Community since 2010, served as the Associate Dean for Academic and Faculty Affairs prior to being appointed as the Interim Dean. During her time as Associate and Interim Dean, the Silberman School experienced a significant increase in enrollment, while also launching a major initiative to increase first-time pass rates for MSW licensure. Drawing on impressive increases in the Silberman School’s external funding, Dr. Cavanaugh also strengthened faculty research support and funding. To enhance student success, Dr. Cavanaugh instituted full time academic advising, strengthened writing and technology support, and oversaw the implementation of our newly accredited undergraduate BSW program. Dr. Cavanaugh holds a joint Ph.D. in Social Welfare and Criminology from the University of Pennsylvania. Her primary research interests are focused on offender interventions decreasing the risk for violence in intimate partner relationships. She has authored numerous journal articles, books, and book chapters, worked nationally and internationally as a visiting scientist and teaching fellow in Germany, Turkey, England and Norway, and is a consultant to federal, state and local domestic violence agencies. 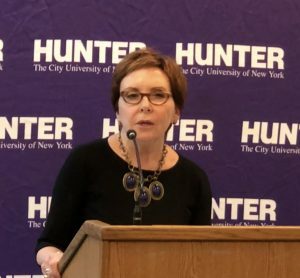 Please join me in welcoming Dr. Cavanaugh to her new role as Dean of the Hunter College School of Social Work. Hunter College mourns the loss of Professor Eleanor Bromberg, who died on January 28, at age 84. A prolific scholar who taught clinical social work, Professor Bromberg joined the faculty in 1978. During her distinguished 31-year tenure, she inspired generations of students to devote their lives to serving those most in need. Professor Bromberg made significant contributions to the fields of family social work, health, and mental health. She was particularly respected for influencing her profession’s approach to clinical supports for people with chronic mental health conditions. Exemplifying Hunter’s unique mission and pedagogy, her research was closely tied to practice in service of vulnerable populations. At the School of Social Work itself, she helped make the Clinical Practice and Human Behavior in the Social Environment curricula the hallmarks of the program that they are today. We were privileged to have known her during her extraordinary career. Congratulations to the Silberman School of Social Work Class of Spring 2017! On Tuesday, May 30, the Silberman School of Social Work at Hunter College proudly graduated its Class of Spring 2017 in a stirring Recognition Ceremony at Hunter’s historic Assembly Hall. A record-setting 443 graduates took part in the ceremony. They represented Silberman’s Two-Year Full-Time, One Year Residency (work-study), Accelerated and Advanced Standing programs; two dual-degree programs; three Practice Methods; and five Field of Practice Specializations. The graduates heard opening remarks by Acting Dean Mary M. Cavanaugh, who called on them to carry forward Social Work’s core tradition of using evidence to fight injustice. They then heard from distinguished keynote speaker Dr. Jeremy Kohomban, President and CEO of The Children’s Village and Harlem Dowling; Alumni Trailblazer Award honoree Carrie Davis; and two of their fellow graduates, Jordan Molina and Lucille Sandoval, who gave inspiring addresses to the class. 15 students received awards for excellence in academics, writing and field work. At the height of the ceremony, graduates crossed the stage to cheers from family, friends, faculty and staff. The graduating class was also recognized during Hunter’s 215th Commencement later that day at Radio City Music Hall, led by Hunter College President Jennifer J. Raab. These former “social workers of tomorrow” are now the social workers of today. The entire Silberman School of Social Work community warmly congratulates the intelligent, passionate, committed, social justice-focused, diverse and fierce Class of Spring 2017! A slideshow of the Silberman Spring 2017 Recognition Ceremony is available here. More photos, videos and news from the 215th Hunter College Commencement can be found here. This past week’s national election evoked a broad range of feelings and reactions regardless of how one identifies politically. Many are searching for meaning and explanations as to how and why the Presidential election unfolded as it did, while others are confounded by the response of fellow citizens to the election results. It’s important at these times to remember the principles that forge the foundation of Social Work – respect for all individuals; tolerance; empathy and understanding of difference in all its forms; and freedom of expression, to name a few. It’s easier in less conflictual times to exercise such core principles of our profession. Our challenge, however, is to hold true to our values when they feel severely tested. In the spirit of openness, hearing, and understanding, I would like to set aside a time to provide a safe space for discussion as we move forward in community as a nation. I welcome all Silberman students, faculty, and staff to a Community Conversation this Wednesday, November 16th from 5:00 to 6:00 p.m. in room 115. I have great faith in the Silberman community. I know that together we will rely on each other to share our views constructively in an atmosphere of respect and tolerance. Dr. Robyn Brown-Manning became a full-time Visiting Lecturer on the Silberman School of Social Work faculty in Fall 2016. She entered this role with a remarkable record of service to Silberman, having been an adjunct lecturer at the school for over fifteen years as well as earning both her MSW and Ph.D. degrees here. Dr. Brown-Manning is an accomplished social work educator, practitioner, and facilitator who has spent her career in several settings working to empower people and communities. As a seasoned practitioner of child welfare and family/group social work, Dr. Brown-Manning has enjoyed teaching these subjects to social work students and others. In numerous capacities, she has made an extraordinary impact – not only on individual lives and communities, but also on the structural approach to diversity taken by some of the country’s most influential organizations. Her career began at The New York Foundling, one of the oldest family services providers in the United States, where she established a community-based youth pregnancy assistance program that was among the very first of its kind. Her work across 17 years there took shape while the American business world was moving to address changing worker demographics and historical exclusivity; so she began working with major companies nationwide to strengthen their missions of inclusion and diversity. More recently, realizing that she felt most rewarded by close partnerships that would “help [organizations] to develop cross-cultural dialogue truly and meaningfully,” she set up her own successful consultancy. Dr. Brown-Manning is thrilled to hold a full-time academic role at Silberman. She teaches mainly in the school’s newly inaugurated BSW program, including Introduction to Social Work and BSW Practice Lab, as well as MSW Practice Lab. The Silberman School of Social Work is very excited to have Dr. Brown-Manning on the full-time faculty. The Silberman School of Social Work at Hunter College has launched its practice–based BSW program. The BSW program is open to full time, matriculated Hunter College undergraduates, who currently have between 55 and 80 credits. The BSW program offers Hunter students a two-year professional social work degree with a practice focus in Child Welfare or Care Coordination. The curriculum is robust, linking theory, concepts and evidence–informed practice, through formal instruction and skills–based structured field work. Students will learn the core skills of assessment, engagement, intervention, advocacy and documentation through a generalist practice lens. The BSW program will prepare students to become knowledgeable, caring, entry level social workers in the areas of Child Welfare and Care Coordination. Click here to learn more about the BSW program. Dr. Adam Brown joined the Silberman School of Social Work faculty in Fall 2016 as an Assistant Professor. Prior to arriving at Silberman, Dr. Brown earned his doctorate at the University of Chicago School of Social Service Administration (SSA) in Spring 2016. 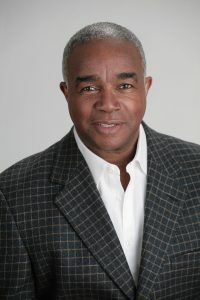 Dr. Brown is a scholar and practitioner of clinical social work who has spent his career in many diverse clinical settings working to prevent sexual violence. His research focuses on young men, primarily adolescents from vulnerable communities, who commit sexually violent acts. In particular, he studies the factors that contribute to sexually violent behavior among these young men; the links between this behavior and other violent or nonviolent criminal behaviors; and the role that clinical social work can play in preventing it. Dr. Brown’s dissertation project demonstrated that, while almost all perpetrators share being victims of some form of neglect, young male abusers and their cases differ widely from individual to individual. This heterogeneity contrasts the homogeneity of their treatment, both legal and social, as a singular deviant group. Before entering academia, Dr. Brown spent many years as a social worker counseling troubled youth and families, which remains his clinical practice area today. In this capacity, particularly working with young sexually violent men, he met children who had been neglected and mistreated profoundly before committing their own abuses. He found that no adequate services were provided to address those backgrounds or intervene in a manner that would change behavior. For Dr. Brown, teaching students in the classroom and working as a clinician in the field are not just complementary activities; they create one another. He gets “very excited about getting students excited about how research must come from practice and how practice can produce great research.” At Silberman, he will continue to develop his core research agenda, while deepening his and his students’ collaborative engagements in the fields of clinical practice, youth welfare, and anti-violence social justice. The Silberman School of Social Work at Hunter College is so pleased to welcome Dr. Adam Brown to the faculty. Dr. Jama Shelton joined the Silberman School of Social Work faculty in Fall 2016 as an Assistant Professor. Prior to arriving at Silberman, Dr. Shelton was a postdoctoral research fellow at the McSilver Institute for Poverty Policy and Research, NYU Silver School of Social Work. They were also Deputy Executive Director of the True Colors Fund, a leading non-profit organization that works to end LGBT youth homelessness. Dr. Shelton earned their Ph.D. from the CUNY Graduate Center and the Silberman School of Social Work, and their MSW from NYU. Dr. Shelton is a highly accomplished scholar and practitioner who has worked in many different settings to address homelessness among lesbian, gay, bisexual, and transgender (LGBT) youth. In particular, their research focuses on the experiences of transgender and gender-expansive young people who are homeless or unstably housed. 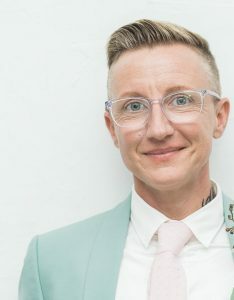 Silberman faculty members S. J. Dodd, Deborah Tolman, and Gerald Mallon advised Dr. Shelton’s dissertation, which used phenomenological inquiry to explore the meaning of trans-affirming housing in young people’s own voices, along with policy analysis to understand LGBT youth inclusion efforts in federal housing policy. This engagement with policy and praxis guides all of Dr. Shelton’s work. 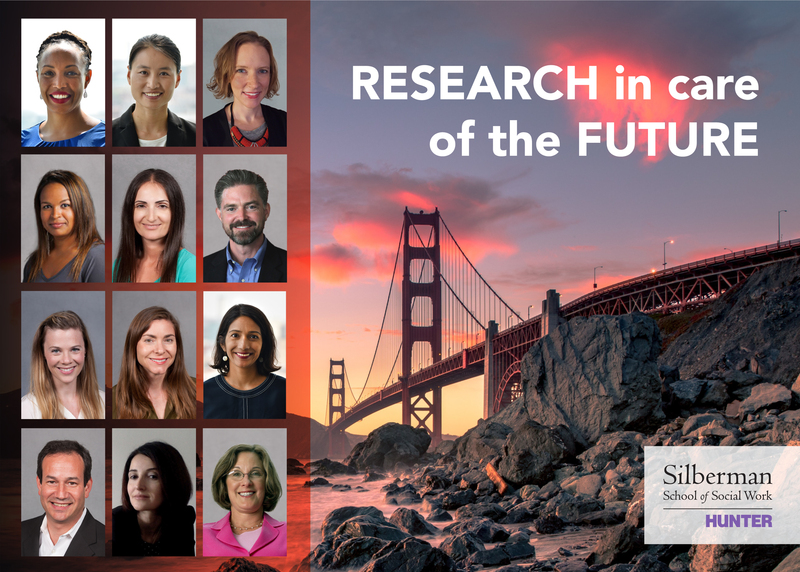 Reflecting the research tradition at Silberman, and in the social work profession, Dr. Shelton concertedly develops their findings into a platform for social change. 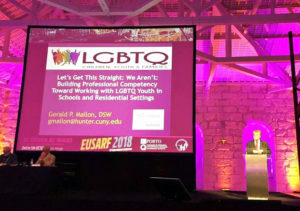 They have done so throughout their career in several practice capacities; as the director of a partnership between the True Colors Fund and Covenant House; and as the leader of the collaborative LGBT Youth Homelessness Prevention Initiative based at the federal Department of Housing and Urban Development (HUD), which brought together a total of six government agencies. In addition to bringing the world of social work to students, Dr. Shelton also helps students bring students’ best work to the world of social work. They express, “I love to help [a] student realize they are a creative person, to facilitate their identifying a passion and their saying ‘Wow, I can go create something’ driven by what they want to learn.” At Silberman, Dr. Shelton teaches many classes including the child welfare platform course. The Silberman School of Social Work is very excited to have Dr. Jama Shelton on the faculty. Dr. Maria Y. Rodriguez joined the Silberman School of Social Work faculty in Fall 2016 as an Assistant Professor. Prior to joining Silberman, Professor Rodriguez earned her doctorate at the University of Washington School of Social Work (Seattle, WA) in June 2016. Dr. Rodriguez’s research focuses on the relationships between housing (in)security and inequality in America. Her dissertation project investigated housing security outcomes among Latino families in the Pacific Northwest participating in a federally-sponsored foreclosure mitigation program, National Foreclosure Mitigation Counseling (NFMC). In order to develop the most comprehensive insights, she used three distinct methods of analysis: spatial analysis of Washington State’s 2008-2013 foreclosure data; cutting-edge computer-aided discourse analysis of Congressional and Senate hearing records pertaining to NFMC; and statistical analysis of large datasets covering NFMC’s implementation in one predominantly Latino Washington State community. The approach Dr. Rodriguez took with her dissertation reflects her ongoing enthusiasm for tracing social policy across its multiple levels and spheres of impact – what she calls “the 10,000-foot view all the way down to the individual view.” In all her work, she aims to illustrate the links between policymakers’ assumptions and expectations and the effects their policies have on vulnerable households. Dr. Rodriguez is a highly accomplished young scholar, whose multi-dimensional research has broken ground at the intersection of data science, social policy, and social welfare practice. Dr. Rodriguez traces her commitment to vulnerable populations, especially low-income Latinos navigating the housing system, to her early social service experiences as a field organizer in Philadelphia. There, she learned the importance of working with communities in all their complexity to achieve their articulated goals. She also traces it even further back, to her childhood not far from Silberman in Upper Manhattan, witnessing her own loved ones struggle to obtain and secure good housing. The Silberman School of Social Work at Hunter College is so pleased to have Dr. Maria Rodriguez on the faculty. Dr. Vicki Lens joined the Silberman School of Social Work faculty in Fall 2016 as a Professor. Dr. Lens came to Silberman from the Columbia University School of Social Work, where she taught for many years. 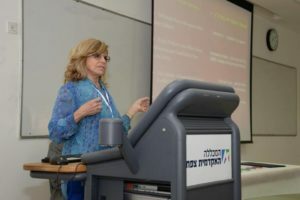 She received her Ph.D. in social welfare from Yeshiva University’s Wurzweiler School of Social Work and her MSW from Stony Brook University (SUNY). Professor Lens has also trained and worked as a lawyer, with her JD from New York Law School. Dr. Lens is an esteemed scholar who has helped to create and shape the intersectional field of socio-legal studies. Her research examines social justice and equity in legal settings. It focuses on situations in which the most disadvantaged persons encounter and must contend with legal judgement. Her most recent work has used the ethnographic method – based on immersive participant-observation – to study how judges and attorneys interact with claimants in two legal settings: New York State’s administrative Fair Hearings where people on public assistance may claim grievances; and Family Court. Dr. Lens has found that in both court environments, such justice is not the norm. The courts are more likely than not to act in “anti-therapeutic” ways. This term comes out of a sophisticated framework she has advanced, which distinguishes “therapeutic” from “anti-therapeutic” justice. Anti-therapeutic justice includes paternalism and shaming by legal agents (judges, attorneys) in Family Court, and what Dr. Lens calls “super-bureaucrat” judges at Fair Hearings who replicate decisions made at lower levels rather than forming critical judgements. These, and many other imperative insights about how courts administer justice – or do not – to those who are already vulnerable, are detailed in Dr. Lens’ acclaimed new book, Poor Justice: How the Poor Fare in the Courts (Oxford University Press: 2016). Poor Justice adds to Dr. Lens’ prolific cadre of published work, which includes nine books or book chapters and several dozen peer-reviewed articles. Before becoming a scholar of social welfare, Professor Lens lived the courtroom dynamics she now studies, as a practicing attorney representing New Yorkers on public assistance. She witnessed her clients being engaged in ways she felt were unjust, so she set out to study what was going on and advocate for a different approach. Although she no longer practices law, Dr. Lens works closely with legal professionals and leaders to translate her research findings into actionable social change. She trains and supports judges, in particular, in the practices of therapeutic justice that represent a more socially-just ethic. For Dr. Lens, teaching is a tremendous joy. She is very happy to bring that commitment to the Silberman School of Social Work, where she taches courses including social policy and community organizing. The Silberman School of Social Work at Hunter College is thrilled to have Dr. Vicki Lens on the faculty. Dr. Alexis Jemal joined the Silberman School of Social Work faculty in Fall 2016 as an Assistant Professor. Prior to joining Silberman, Dr. Jemal earned her PhD from the Rutgers University School of Social Work (New Brunswick, NJ) in June 2016. Dr. Jemal also holds a J.D. from the Rutgers University Law School-Newark. Dr. Jemal studies the impacts of systemic inequality on the health of African Americans and other vulnerable individuals and communities, along with multi-level strategies for intervention. Together with her practice, her academic work expresses her deep commitment to engaging and developing anti-oppressive theories for action. Dr. Jemal’s dissertation assessed a theoretical concept known as conscientization, developed by the Brazilian educator Paulo Freire. Surprised to find little scholarly consensus on it, she set out to define and measure it herself in a way that would be useful for social work and social health research. Ultimately, Dr. Jemal developed an original, viable theory of her own based on Freire’s work, which she has termed “transformative potential for critical consciousness.” This concept frames her ongoing analysis of how African Americans experience racial oppression and white American racial privilege. The Silberman School of Social Work is proud to have Dr. Alexis Jemal on the faculty. Policy Track students are part of the Community Organizing, Planning & Development (COP & D) method who elect to deepen their policy skills and knowledge by taking additional policy courses and work on a specific policy project in their second year field placement. Interested students please contact Dr. Mimi Abramovitz. Professor Earner will be presenting at the, “The Dream of America Separation & Sacrifice in the Lives of North Country Latino Immigrants,” event at the Folklife Center in the Crandall Public Library on Saturday April 9, 2016. This event takes us from the milking parlors of surrounding counties to the cinder-block homes of Coyula, Guadalajara, Mexico, and back again. This straightforward perspective asks that we consider without bias or stereotype, the work being done, and the lives and sacrifices of the workers. Hard work and separation are underlying themes of these immigrants’ lives. Click here for more information. Ford Foundation President Darren Walker and NYC First Lady Chirlane McCray at the Connections to Care launch event. STRIVE New York is proud to be among 14 New York City nonprofits selected to participate in Connections to Care, a $30 million public-private partnership that aims to expand access to mental health services by integrating evidence-based mental health support into social services programs serving low-income New Yorkers. Connections to Care is a program of the Mayor’s Fund to Advance New York City and the federal Social Innovation Fund of the Corporation for National and Community Service. Participating organizations will partner with local mental health providers to train their staff in offering mental health support to clients. STRIVE New York is partnering withUnion Settlement and the Silberman School of Social Work at Hunter College. The Mayor’s Fund also announced that the Ford Foundation has awarded a $2 million, three-year grant to the Connections to Care initiative to support an evaluation of the program by the RAND Corporation with the NYU McSilver Institute for Poverty Policy and Research. Ford Foundation President Darren Walker spoke at the event, as did Deputy Mayor for Strategic Policy Initiatives Richard Buery and Matthew Klein, Executive Director of the Center for Economic Opportunity. Learn more about Connections to Care in the city’s press release. On March 2, 2016, Professors Terry Mizrahi and Mimi Abramovitz and 60 Silberman School of Social Work Students, half specializing in Clinical Practice and half specializing in Community Organizing Planning and Development (COPD participated in NYS Social Work Student Legislative Action Day (“Lobby Day”) in Albany New York. Legislative Advocacy Day is an annual event sponsored by NYS NASW, NYS Association of Deans of Schools of Social Work and NYS Social Work Education Association. This year nearly 600 social work students from around the state gathered to advocate for legislation that is relevant to the social work profession. Throughout the day attendees had the opportunity to visit their legislators and tell them why two specific issue were important: Social Work Loan Forgiveness and Raising the Age for prosecuting and incarcerating youth as adults from 16 to 18 years. Legislative Advocacy Day is grounded in a strong social work tradition of advocacy for change. We are proud of Silberman students and faculty who participated in this day. The Silberman School of Social Work at Hunter College, mourns the loss of our friend and colleague, Dr. Carmen Ortiz Hendricks who passed away on Sunday, February 21, 2016. 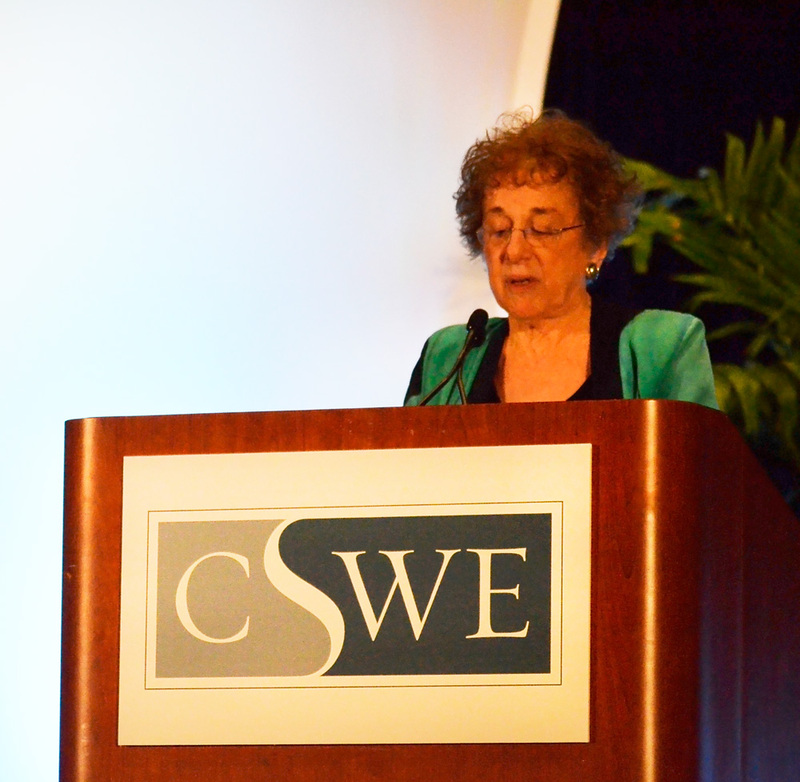 Since 1974, Dr. Carmen Ortiz Hendricks made significant contributions to the practice of social work in the roles of educator, administrator, and multi-cultural scholar. Dr. Ortiz Hendricks received her MSW from Adelphi University School of Social Work and her doctorate in Social Welfare from Wurzweiler. Carmen Ortiz Hendricks spent 25 years at the Hunter College School of Social Work, where she served with distinction as the Director of Field Instruction and a beloved Professor for thousands of our students who came to know her as a great role model. In 2005, Dr. Ortiz Hendricks went to Wurzweiler School of Social Work as a professor of social work and associate dean. She then served as interim dean of Wurzweiler working to advance the school in critical directions: increasing enrollment, fundraising for scholarships and special projects, working with the Jewish Community, partnering with the Washington Heights community, and collaborating with other departments throughout the University. 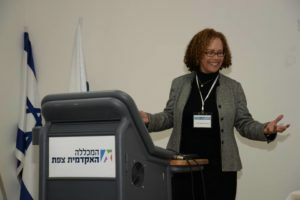 In 2007, Yeshiva University announced the appointment of Professor Carmen Ortiz Hendricks as the Dorothy and David I. Schachne Dean of the Wurzweiler School of Social Work. Dr. Ortiz Hendricks was also great contributor to the knowledge base in the profession. She was the lead author with Jeanne Bertrand Finch and Cheryl L. Franks of Learning to Teach—Teaching to Learn: A Guide to Social Work Field Education by the CSWE Press (2005, 2013). In addition to this work, Dr. Ortiz Hendricks authored and co-authored articles, monographs, books, and manuals that address culturally competent practice. Dr. Carmen Ortiz Hendricks has been a role model for future generations of social workers; she was a wonderful colleague to us here at Hunter and a great colleague and leader for her faculty, staff and students at Wurzweiler. Her untimely passing leaves us with a sense of great sadness, but we were all privileged to know her. We will miss Carmen very much, and think of her often with great fondness. Daniel Gardner, Ph.D., Director of Research for Silberman Aging and Associate Professor at the Silberman School of Social Work, was selected to receive an Award of Excellence in Professional Education and Research at the upcoming Social Work Hospice and Palliative Care Network (SWHPN) General Assembly in Chicago. The Silberman School of Social Work wishes to congratulate our colleague on this recognition of his extraordinary contribution to the area of Hospice and Palliative Care. Congratulations to the following students for being awarded the Charles A. Frueauff Foundation/The Children’s Village scholarship. These student scholars were chosen based on their commitment to children, youth, and families in the child welfare system, their overall academic performance, and their financial need. The mission of the Charles A. Frueauff Foundation is to improve the lives of those in need by awarding grants to non-profit organizations in the areas of education, human services, and health and hospitals. 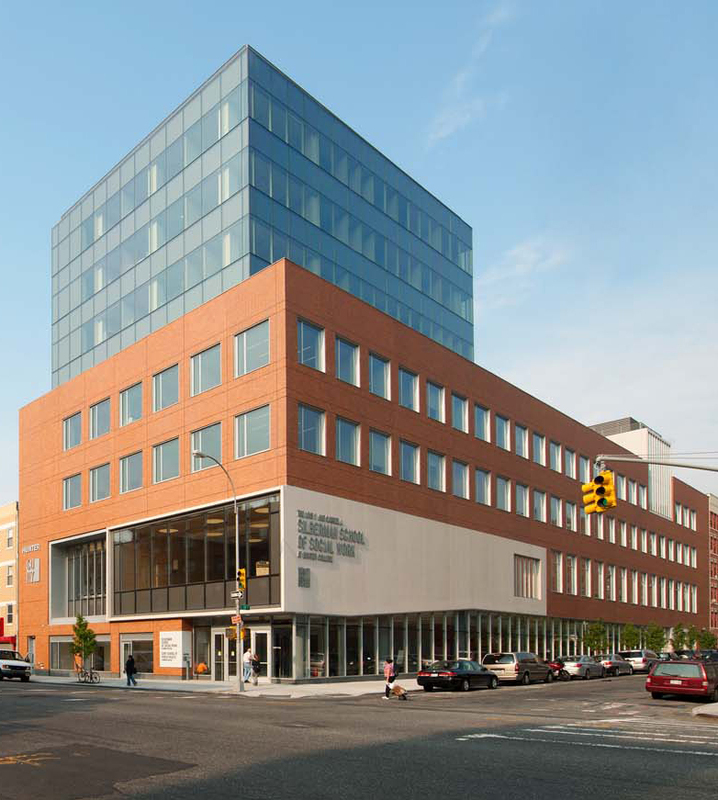 For the past 30+ years they have awarded over $1 million to The Children’s Village staff to receive advanced graduate education at the Silberman School of Social Work at Hunter College. Since 1851, the mission of The Children’s Village has been to work in partnership with families to help society’s most vulnerable children so that they become educationally proficient, economically productive, and socially responsible members of their communities. The Children’s Village is honored to be funded by the Charles A. Freuauff Foundation and to work in partnership with the Silberman School of Social Work. 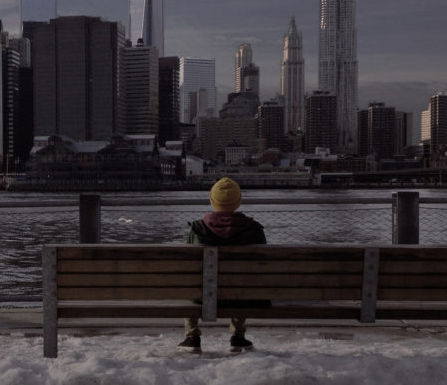 Shadow Count 2016 – Help New York City’s homeless count. Become a decoy! SAMSHA is pleased to announce that President Obama has appointed Tom Hill, (Hunter, MSW, 1999) as SAMHSA’s Senior Advisor for Addiction and Recovery and will serve as the Acting Director of CSAT. Mr. Hill has worked for many years toward the goal of long-term recovery for individuals, families, and communities through peer services anchored in the organized recovery community. Over the years, he has been involved with many SAMHSA programs and is frequently sought out as a national thought leader in the recovery field. His experience as a person in long-term recovery spans over two decades. We are confident that Tom will be a great asset to SAMHSA. The Silberman School of Social Work wishes to congratulate members of our family who will be recognized as honorees at the 9th Annual NASW-NYC Leadership Awards on December 3, 2015. Kajori Chaudhuri (alumnus) Sapna NYC Inc.
UNICEF and the Government of the Netherlands, the World Health Organization, USAID, along with Silberman School of Social Work and other governmental and non-governmental organizations held a symposium on children’s mental health and well-being in protracted armed conflicts from May 26-28, in The Hague. The symposium featured panels and expert discussions as well as a daylong workshop intended to plan for future work in this area. Professor Bragin, who chairs Silberman’s Global Social Work and Practice with Immigrants and Refugees sequence, convened a panel discussing research findings and methodological issues related to delivering mental health and psychosocial support services to children in areas effected by conflict and humanitarian emergencies. 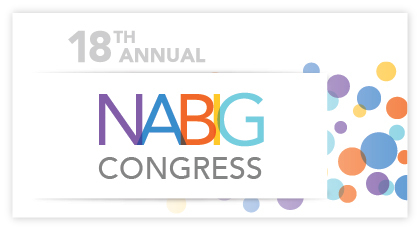 Watch video of many of the sessions here. The Hunter College community celebrated the life of Sgt. Griselde Camacho, a seven-year veteran of the college’s public safety force who was killed in a building explosion in East Harlem on March 12, 2014. Sgt. Camacho’s mother, Carmen Quinones, and son, Jaser, among others, attended a plaque unveiling ceremony at Hunter College’s East Harlem campus…Read more. Associate Professor Samuel Aymer delivered the keynote lecture, entitled Beyond Power and Control: Understanding Partner Abuse Through Multiple Lenses, at the University of Maryland’s School of Social Work Alumni Conference in Baltimore on March 6. Professor Aymer’s scholarship focuses on intimate partner abuse and the intersection of race and culture relative to psychotherapeutic work with African-American men living in the urban environment. At Silberman, Professor Aymer teaches Clinical Practice with Individuals and Families, Human Behavior in the Social Environment and Social Work Practice Learning Lab. On November 13, well over two hundred students, faculty and community practitioners attended the first annual Inequality Lecture at Silberman. The series, curated by Professor Michael Fabricant, addresses the alarming growth of inequality over the past generation and its implications for the delivery of social services, education, health care and criminal justice in the city and the nation. Speakers at the inaugural event included Jennifer Jones Austin, MA, CEO and Executive Director of the Federation of Protestant Welfare Agencies; Larry Davis, MSW, PhD, Dean, School of Social Work, Donald M. Henderson Professor, and Director of the Center on Race and Social Problems, University of Pittsburgh; Bruce Jansson, PhD, Margaret W. Driscoll/Louise M. Clevenger Professor of Social Policy and Social Administration, School of Social Work, University of Southern California. MSW student Antonia Maeck was awarded the prestigious Diana List Cullen Memorial Scholarship by the Metropolitan Chapter of the New York State Society for Clinical Social Work. Ms. Maeck’s paper entitled, Listening to Just Jacob: Challenges in School-Based Treatment, describes the work she carried out during her first-year field placement with a young boy struggling with disruptive behavior problems at a charter school in Brooklyn. She will receive a $500 award and a one-year student membership in the New York State Society for Clinical Social Work. The first annual inequality lecture will take place at the Silberman School of Social Work on November 13, 2014. The planned series, curated by Professor Michael Fabricant, will address the alarming growth of inequality in the city and the nation. Assistant Professor Alexis Kuerbis is collaborating with investigators from Zucker Hillside Hospital in Queens on a randomized controlled trial examining the mechanisms of change for individuals with alcohol use disorder. This study, funded by the National Institute on Alcohol Abuse and Alcoholism, looks at the active ingredients of Motivational Interviewing (MI), arguably the best validated and most widely disseminated psychosocial intervention in the formal treatment system for problem drinking and other adverse health behaviors. While MI is thought to work by increasing an individual’s motivation for change, little research supports this hypothesis. This study aims to identify which specific elements of MI and its impact on clients prompts and sustains change.